Just like that, Ramadan is gone. You probably feel like you’re already losing the spiritual clarity you had reached during the final 10 days. It happens to the best of us. 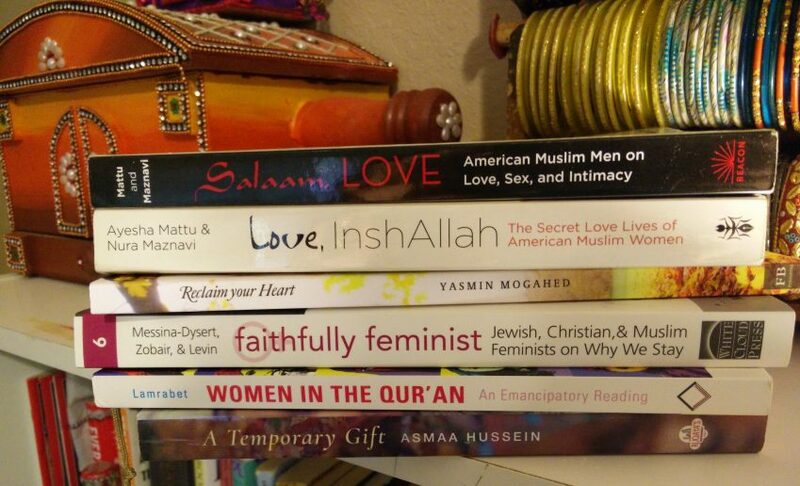 Which is why I have tried my best to put together a very short reading list of books, specifically for Muslim women. These books will help you to continue to reconnect with your faith and challenge your spiritual intelligence so you can keep growing. The best part? All of these books are either self-published or by smaller Muslim publishing houses so clicking on each title below will redirect you to their checkout pages and your money will go directly to the people who help make these books a reality. I’ve followed Asmaa Hussein on Facebook for a long time. Her posts about how she processed her husband’s murder by an army sniper as he was returning home from a peaceful protest in Alexandria, Egypt are always deep and insightful. They had been married less than two years. Her husband left behind a young daughter as well. So when I found out that Hussein had put out a book, I knew I had to get my hands on it. It is a compilation of some of her Facebook posts, but way more. Her words are so raw they make you feel her pain. I have cried while reading this book. I have recounted my own blessings while reading it. I felt, at least to some degree, the pain and inner strength that Hussein lives with every day. This book is powerful. I’ve been a writer for quite some time – but not professionally. I blogged and journaled for many years of my life, so I had the time to explore my writing without the pressure of actually producing a book. Writing has always been my way of blowing off steam and processing emotions. I found that writing my story had a therapeutic effect and left me feeling as though my burden was lightened. 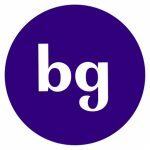 Publishing a personal book is always difficult because a whole host of worries and questions tend to creep in – am I doing this for the right reasons, or just to boost my ego? Will people actually want to buy this book or am I overestimating the value of my writing? At one point I just needed to get past those insecurities and move forward with the book. Spiritual intelligence. Few of us ever take the time out to really dissect our spirituality. Why are we inclined to certain things in our life? How do we relate to God and the people around us because of our spiritual inclinations? These are some of the questions that Mogahed forces you to think about. This book is really emotionally heavy. I’ve had it for some time and I still haven’t been able to finish it because Mogahed’s words constantly make me stop and have to think, really absorb, what I’ve read. It’s a book I keep going back to and finding a new revelation within myself every time. It is a must have for your reading list. For transparency sake, I’m actually one of the 45 contributors in this book (tweet me @atiyahasan05 if you find my picture!). The book is composed of female contributors from the three Abrahamic Religions: Judaism, Christianity, and Islam. Each author writes about how they reconcile their faith with feminism in the present day. The Abrahamic religions are considered to be deeply patriarchal, but women today are peeling back the layers to find their source of empowerment from within these faiths, like myself. It is truly enlightening to see how much we have in common, something that is especially important considering the current political and social climate. I received this book as a gift from Kube Publishing and it pretty much blew my mind. As Muslim women, we’ve all heard the story of Khadija, the wife of Prophet Muhammad, peace be upon him. She was the older widow who needed help running her business and he was the young, handsome, trustworthy man who readily agreed. This narrative always bothered me. If you really read about Khadija, she was brilliantly successful on her own. When the caravans set out for trading, her caravan alone was bigger than her entire tribes’. She could have married any man of her choosing. But she chose the man who did not have social status nor money to his name. She chose the man because of his upstanding character. 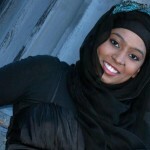 Khadija, to me, has always been the first Muslim example of an empowered woman. But it’s difficult to find unbiased views of the early Muslim women. So this book was a literal godsend. It has two parts, how the Quran speaks OF women and how it speaks TO women. I’m still making my way through this book, but just buy it okay? And then we can discuss it in detail! These two books are mentioned together because they are part of a series. “Love, Inshallah” talks about love (obviously) with a collection of stories from Muslim women who would place themselves all over the “religious” spectrum. “Salaam, Love” is a collection of stories from men. What’s the point of reading one without the other? They are an easy and fun read. The reason they belong on your reading list is mainly because they will also force you to reevaluate your own stereotypes of Muslims. You would think that as Muslims ourselves, we wouldn’t stereotype other Muslims. But we do, and these books will remind you how important it is to always make 70 excuses for your brother/sister when you see them do something that you want to call out as haraam. (Also, just stop calling out people as haraam). 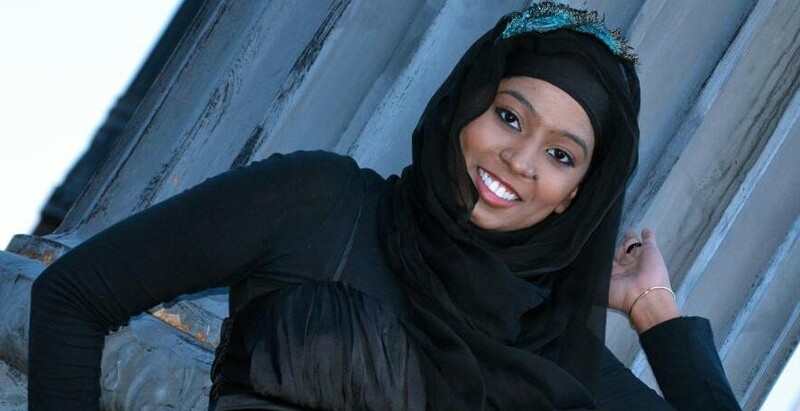 Atiya Hasan is the COO and Editor at Large at Brown Girl Magazine. She currently lives in Houston, TX and is a recently graduated MD. She strongly believes in empowerment through knowledge. She is also a contributor for the anthology “Faithfully Feminist: Jewish, Christian, and Muslim Feminists on Why We Stay.” In her free time, Atiya enjoys consuming large amounts of chocolate and TV shows. She also live-tweets a lot of Netflix shows @Atiyahasan05.